From the arcade heyday of titles such as Atari's Pole Position and Yu Suzuki's sublime OutRun for Sega back in the 1980s, driving games have always been a mainstay genre in the videogame business. from Capcom later this month. TechRadar spoke with a number of the leading developers in the genre, including Gateshead-based Eutechnyx (most recently known for last year's SuperCar Challenge) and some of those name-checked above, to find out more about the latest technologies and development tricks and techniques that go into making ever-more realistic circuits and track-side environments. Capcom's new Moto GP title features highly advanced dynamic lighting and some incredible post processing effects. They really do make you feel that you're sat astride a superbike tooling around ultra-realistic tracks at breakneck speed. The game was also designed using a technique called dynamic colour saturation, something generally used in the best first person shooter games, which slightly intensifies the palette when you overtake a bike. "If you're in first place, it will conversely desaturate when you're overtaken," explains Capcom's Harvey Parker, the Art Director of the new game. "It's subtle, but added up; these visual tricks create a more immersive experience for the player." Studios increasingly have to meet the high expectations of today's players, who crave the most immersive and realistic driving experiences possible. "In a current project we are focusing a lot on the surface of a track, giving multiple areas of the tarmac specific and unique surface properties," says Eutechnyx's Lead Designer, Gareth Wright. "This enables players to experience every bump and crack in the road surface. If players drive over even the thinnest join in the tarmac, they will feel it." Developers can now also assign specific sounds to different surfaces and coloured tarmac on the track, as well as flag certain areas to offer more or less traction, which can differ even more depending on the track's current temperature and the weather conditions in the race. For the Eutechnyx man, the ultimate objective is to make the player "feel like a real driver, with the ability to learn the best lines around every track, through sight, sound and feel." 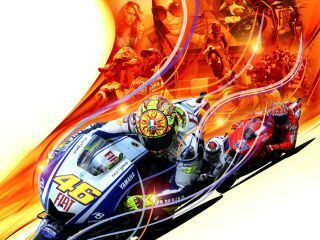 "The first thing we do when creating a new track is to liaise with Dorna - the licence holders and organizers of MotoGP," says Capcom's Parker. "It will send us any plans and maps that not only show the topology, but the safety features and race event logistics. As you can imagine, these are an essential first step for the artists, for accuracy of scale and object placement – such as TV cameras and team trucks." After that, the next step is for the team to visit the track during a race weekend, when Capcom sends a couple of artists down to the circuit to get an overall feel for the location. The final rendering is based on thousands of photos of the track, along with helicopter aerial shots of the tracks provided by Dorna. "These are very useful in obtaining an overall direction of palette, geographical scaring and also things like crowd congregation," notes Parker. Capcom's Pune studio in India recreates each object and building in 3D Studio MAX, while an artist in the team's Manchester or Nottingham studios will work on the track itself, creating a spline of the track that is then raced on and improved by the design team until it is pin point accurate. After rigorous testing and once the track terrain and objects and buildings are ready, the circuit is handed over to the team's lighting expert, "who bakes in Lightmaps in MAX and sets the sun, light scattering, bloom, bounce lights etc, all within our game engine, live on the console."